Last night I decided to mess around with some older laptops. I had an HP Pavillion ze2000 CTO laptop (not sure why they call it “CTO” – I guess the Altec Lansing speakers included makes it an executive ;-)). I installed Windows 7 (32-bit) from my home Windows Deployment Server with no problem. This one took longer than the less-than-20-minute installs I’d been experience. I’m not sure why. It wasn’t terribly longer, but about 30-40 minutes I think. I ran Windows Update and it got all the latest drivers. A quick check in Device Manager showed no device problems. Sweet. I began testing things. Audio playback was the last thing I played around with. System sounds, MP3, WMV audio, CD audio…all worked. Then I put in a DVD (Pirates of the Caribbean to be specific). The machine suddenly sounded like a machine gun shooting back at me. Video playback was fine, but audio playback couldn’t work. I spent a few minutes tinkering then headed to the interweb for help. My search was hp ze2000 dvd audio not working windows 7 (I type that here in hopes to help some others). I tried other search terms (dvd audio windows 7 ze2000, dvd audio problems windows 7) and yielded others having problems but no working solution. Some suggested bad drivers and pointed to older drivers (which I tried and wouldn’t install). Late in the night I sent a note to my trusty colleague on the Windows test team. We send a few notes back and forth, then he looped another colleague in and asked me to send the DXDiag report. 2 seconds later I got an email with the classic “try this” note and a few steps. Boom. It worked. 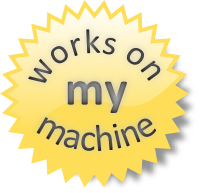 I share the works on my machine solution here…it was one of those dreaded checkboxes you wouldn’t think to check. NOTE: This solution may work and may not. The fact is that the laptop I have isn’t even a Vista certified machine and the Conexant AC’97 audio driver isn’t supported. The rep I later talked to was surprised audio even worked at all with Windows 7. It all works now though! Your mileage may vary. THIS IS ONLY A WORK AROUND IF YOU THINK YOU HAVE A SAME PROBLEM ON OLDER MACHINE WHICH USES THE ABOVE AUDIO DRIVER – no need to mess with things working already! First start up the Sound control panel applet and you’ll see the speakers listed there. Windows Update found the generic Conexant ACLink Audio driver and installed it already – it indicated that was the latest (date stamp of 2005). Then choose the properties of the speakers and head to the advanced tab. When there, UNCHECK the box that reads Allow applications to take exclusive control of this device. Once unchecked, my DVD audio worked. Other audio still worked as well. Random checkbox setting huh? I would have taken a long time to get to that setting. Hopefully this helps others who might be braving upgrading older laptops to Windows 7. And yes, it runs Windows 7 great.